Trained in the art of dispensing medications and health care products, pharmacy technicians work under the supervision of licensed pharmacists in hospital and retail pharmacies. Technicians prepare and fill prescriptions, label and stock supplies, and function as a liaison between pharmacists and patients. 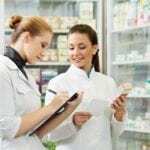 Pharmacy technician programs include a didactic component and, sometimes, a clinical component to teach students the basic aspects of practice, legal responsibilities of the pharmacy in record maintenance, and how to handle different categories of drugs. Pharmaceutical calculations, common drug interactions, drug side effects, pharmaceutical agents, customer services, and billing and insurance and just some other essential topics that prepare students to manage the daily pharmacy operations. 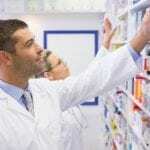 Certification is not mandatory in Georgia, but as the pharmacy technician’s role in the pharmacy continues to expand, more employers will require national certification as a prerequisite to employment. The pharmacy technician program at Cumberland Medical Institute prepares students for entry-level employment in the field of health in just 10 weeks. CMI offers a daytime and evening schedule to accommodate working professionals. Daytime classes meet Monday and Wednesday from 9:00 am to 1:00 pm. Evening classes meet Monday and Wednesday from 4:00 pm to 8:00 pm. The training includes classroom theory with the option to complete a pharmacy externship. Students do not need to participate in a clinical externship to complete the program. Course topics include pharmacy terminology, aseptic techniques and compounding, pharmacology, dosage calculations, pharmacy operations, pharmacy fundamentals, and legal and ethical issues in pharmacy. Applicants must have high school level math and reading. For participation in the clinical externship, students will need 2 sets of scrubs, negative TB or CXR, and a clean FBI and GBI criminal record. The pharmacy technician program at Fortis College prepares students for the expanded role of the technician in patient care and education. The program is 780 clock hours covered in 36 instructional weeks. 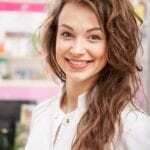 Instructors training and develop students who are conscious of pharmacy standards and are capable of assisting the pharmacist in direct patient care. Students will develop a solid foundation in pharmacy fundamentals and terminology to be successful as an entry-level technician. The program will also include an externship, which will give students the opportunity to apply their knowledge in a real-world setting. The 46-credit hour program will include study in medical terminology, fundamentals of pharmacy, drug classification systems, medical anatomy and physiology, pharmacology, intravenous admixtures and aseptic techniques, mathematics for pharmacy technicians, drug classification systems, and certification preparation. Applicants must have a high school diploma or GED, present documentation of having had Hepatitis B injections and TB test, pass a drug screen, and submit to a criminal background check. Tuition for the program is $15,071. Books and supplies cost an additional $765. Students who have a strong eye for detail and want to help others can enroll in the pharmacy technician program at Kennesaw to assist pharmacists in a variety of pharmacy settings. Students learn how to prepare patient medication, assist licensed pharmacists in the provision of medication and medical services, communicate effectively with physician offices, provide customer service to patients, and handle HIPAA security and privacy. Hands-on training includes pharmacy laws and regulations, drug information references, dosage forms and classifications, and over-the-counter medicines. Applicants must have a high school diploma or equivalent, submit a program application, complete the basic skills assessment, and have a working knowledge of computers. At the conclusion of the 65-hour certificate program, graduates will be prepared for success on the PTCB exam. New programs commence in February and August and conclude three months later. Tuition costs $1,799 and does not include the exam fee and textbook. Financing through interest-free payment plans, WIOA funding, VA Education Benefits, and continuing education loans are available. The Pharmacy Assistant Technical Certificate of Credit (TCC) at Lanier Technician College is a short-term course that is designed to prepare students for entry-level employment in community and institutional pharmacies. The curriculum includes didactic instruction and laboratory practice to prepare students for success on the job. Course topics include structure and function of the human body, medical terminology, foundations of mathematics, introduction to computers, pharmaceutical calculations, pharmacy tech fundamentals, pharmacology, principles of dispensing medications, basic psychology, principles of sterile medications, pharmacy technology practicum, and advanced pharmacy tech practicum. Applicants must be 18 years or older, complete prerequisite courses with a cumulative GPA of 2.0 or above, and earn a minimum grade B in Math 1012. A background check and TB test may be required for participation at the clinical site. Students who have been convicted of a felony or misdemeanor may not be able to complete the program due to denial of state registration. The program is open for enrollment in the Fall and Spring semesters. Students must secure scrubs and lab coat for the program. An exit exam will be administered during the last semester, and students must earn a passing grade of 80% or more. Tuition for resident students is $89 per credit hour. Students completing 15 credits or more will pay $1,335 per semester.